You've arrived at your creative space for live Elasticsearch data. Play with color palettes, add your own CSS elements, drag and drop assets — and turn your presentations and reports into dynamic, infographic-style works of art. 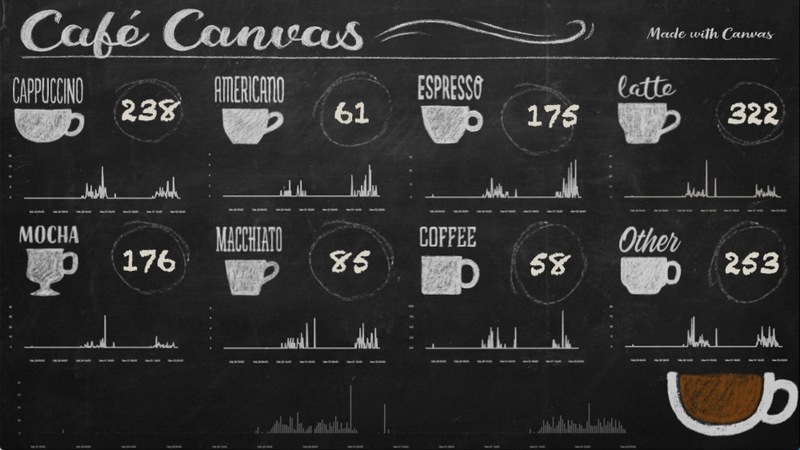 NewFlex your creative muscles and build live, infographic-style presentations and reports with Canvas. Turn your data into an extension of you, making it dynamic and unique. Open your Canvas workpad and use the logos, colors, and design elements that define your brand. From simple to stylized, two-toned to technicolor, watch your data take shape in a way that moves you. Bonus: Canvas features ship for free in Kibana. Life doesn't follow a template. Canvas is flexible so you can break from the rigidity of a grid and bring to life the delightful things that matter. Think yellow submarines, purple rain, blackbirds — or whatever speaks to you. Everything is a data point. Canvas loves an audience. Present Elasticsearch data in a way that tells your company’s story, from presenting flight statistics at an airport kiosk to chatting about auth logs in a conference room. 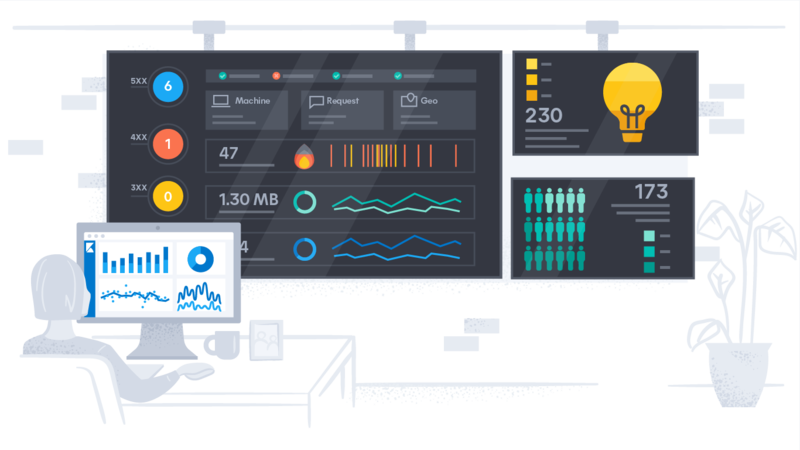 And keep your team engaged in the office with beautiful, real-time displays featuring social analytics, user engagement, operational analytics, KPIs, or any data really. 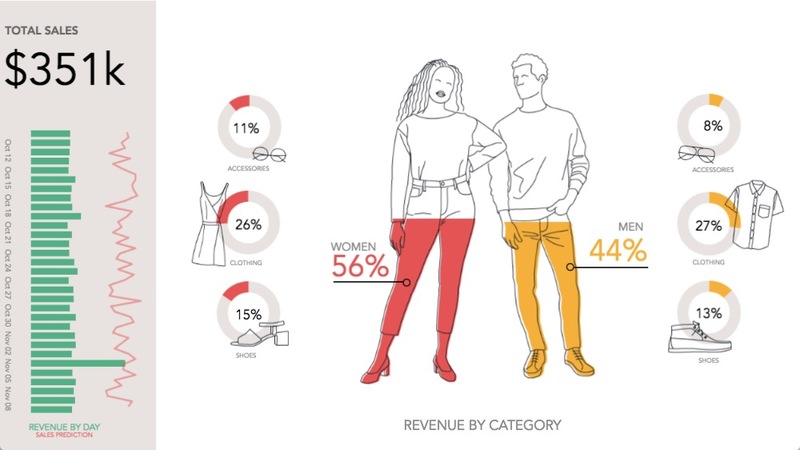 Are the generic charts in your weekly emails starting to blur together? Create branded reports with custom elements that your team will look forward to opening. Build your reports once and watch them automatically ship with the latest weekly, monthly, or annual data. Goodbye copy-paste. Canvas has full support for Elasticsearch SQL query syntax so you can enjoy the rush of typing SELECT and watching the magic happen. Use Elasticsearch SQL to build aggregations and shape your data within Canvas — then use that familiar syntax for metrics, time series visualizations, infographics, and beyond. Streaming data into Elasticsearch from a slot car track, Rashid demonstrates how simple SQL expressions can help create live visualizations in Canvas. It's easy — and kinda fun — to create pixel-perfect workpads and presentations.